Thank you guys SO much for baring with us there for awhile as we got caught back up on our Blog journey. I think we may just have gotten things back together for now (and if things fall back apart, we will pick the pieces back up and keep it moving along). We know you are waiting for our EPHS Blog recap, but we want to keep it kind of like a pattern: monthly recap, random post, monthly recap, random post - you get the picture. So, the next blog after this one will highlight the East Paulding High School session, so get excited! Oh September, that was a fun month! Yes, we said it FUN - not only did we get a little time off and away, but we were able to be productive too! It was definitely the best of both worlds. At the beginning of the month we attended the Visit Douglasville Family Reunion Workshop - we setup as a vendor and were able to meet some great leads + some new vendors that had even more great leads! Then we had the opportunity to setup for the YMCA in Paulding for their School Portraits! Remember this great background, recognize it? Not only did we fall in love with it, but so did the parents and staff! 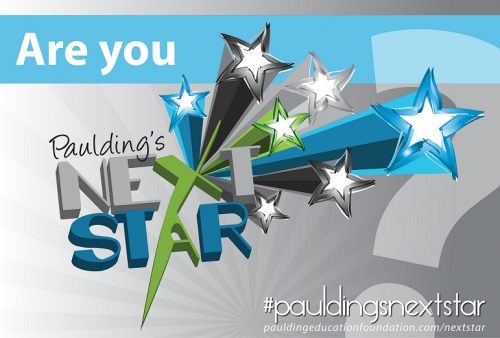 The next day we partnered up and had our hands in the "video pot" for the Paulding Education Foundation's 2nd Annual Paulding's Next Star competition! This was a great experience and we were happy to be involved in the event again this year. But that about wraps it up, the only things we didn't touch on were our networking events, but those remain mostly the same from month to month. Stay tuned for our next Blog, we've been teasing y'all with it for long enough!